The DePuy Pinnacle hip replacement system is a metal-on-metal device that has many similar features and components as the DePuy ASR metal-on-metal hip system, which was removed from the medical device market in 2010. The DePuy ASR had a failure rate much higher than expected. However, many patients have filed complaints about significant complications after receiving the new DePuy Pinnacle implant. As a result, many seek financial compensation for their pain and injuries through a DePuy Pinnacle lawsuit. DePuy Orthopedics, a subsidiary of Johnson & Johnston had the Pinnacle hip implant system approved without the need to conduct rigorous approval testing to ensure safety and efficiency. Going through the “510(K)” approval process, Dupuy Orthopedics was able to classify this new hip replacement as a “substantial equivalent” comparing it to older replacement devices the company manufactured. In their rush to bring the Pinnacle implant to market, DePuy was able to maintain their profit levels, after pulling the ASR hip replacement from the market. The company is well aware of the complaints individuals have filed against the manufacturer. However, the company has avoided warning patients about the complication risks and has failed to recall the device. In fact, the DePuy ASR implant was finally recalled after 37,000 patients in the United States had received this medical defective prosthesis, of which many of these individuals now deal with serious complications. Often times, doctors will discourage their patients suffering from faulty hip implants from taking any legal action. Fortunately, an experienced attorney can protect the legal rights of patients when seeking medical care. Lawyers will ensure that their clients secure documentation of their case, by never turning over any evidence. 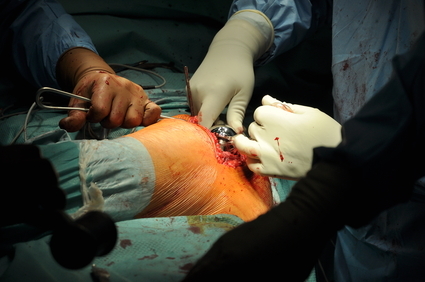 When revision surgery is performed, it is essential to keep the implant that was replaced following surgery to be used as evidence to bolster the claim. Representatives from DePuy may attempt to solicit information about cases involving defective implants through direct contact, or over a helpline. It is essential to talk only with an attorney working on behalf of the injured patient. In addition, it is important to avoid signing any documents, including waivers from DePuy or insurance carriers working on behalf of the doctor and/or medical device manufacturer, which could injure the case. Patients that have suffered medical complications and painful injuries after being implanted with a DePuy Pinnacle hip replacement should call Drug Law Center to discuss the merits of a potential case against Johnson & Johnson and DePuy. Injured patients might be entitled to receive financial compensation through a DePuy Pinnacle lawsuit. Monies obtained will cover the patient’s injury, lost wages due to missed work, ongoing medical expenses, damages, pain, and suffering. Our aggressive team will fight vigorously to obtain the deserved amount of adequate financial compensation. Call the law firm at (888) 424-5757 for personalized, caring and loyal representation. All product liability personal injury cases are handled on a contingency fee. This means legal services are only paid from the out-of-court settlement, or through the amount awarded at trial.